His debut album The Definition was released in 2008. It was 14 track album and was distributed by Honesty Music. Angels on the Runway his second album was released in 2010 and another one Unlimited in 2011. He rose to fame by Divine Intervention or should I say he was in the right place at the right time doing the right thing as expected of him. Today he has numerous hit songs that have continued to enjoy massive airplay in churches and beyond Nigeria shore. Some of his songs includes, You too dey bless me o, Omema o, Mma Mma, Welcome to Zion and much more. He is a role model and inspiration to the youths. Producing his songs under his world class Record Label, christened “ROCKTOWN”, the young multi-talented artist and motivational speaker has been celebrated for revolutionalizing Nigerian Gospel Music, introducing a new and exiting twist, with his new blend of rock, fused with a little pop and fuji. His debut album The Definition was released in 2008. It was a 14-track album and was distributed by Honesty Music. Angels on the Runway his second album was released in 2010 and another, Unlimited, in 2011. Tagjam, was released in November 2011. He is currently known as Nigeria’s Hottest Gospel rock artiste Now in Nigeria. 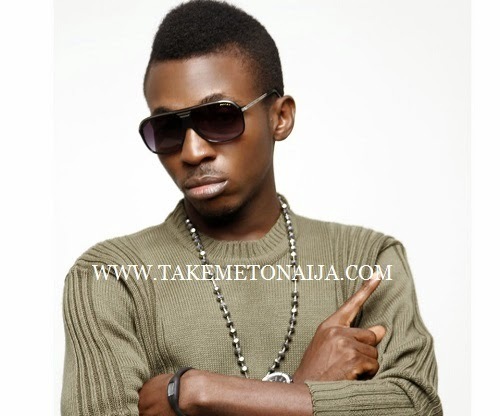 In 2013 he released he appeared in the live performance of Sinach’s “I know who I am” video. Besides being an artist with many songs in all musical genre, He is also a genius producer, master mixer. As a result, Rock Town Records, which he owns, has a generation of up coming talent with names like GIL, Divyn, David and many others. His 3rd and 4th album are all critically acclaimed success. It is an impressive work that will stand the times. It has been widely sold across Nigeria and beyond and is still selling out fast in stores. The follow up concert video has also been raking up sales eversince its release. He is also credited with various nominations including The NEA Awards 2009, and also The Nigerian Gospel Awards 2012, where he merited six different nominations. In the aftermath of over seven years of making global impact with soul lifting, earth shaking gospel music, the best of Frank Edwards is still to come. Nigerian born music minister was the winner of the Nigerian Gospel Awards (Rock Artist Of The Year) 2010, he also had a graceful outing at the African Gospel Awards 2012, where he won the Best Gospel Artist West Africa Award. Recently also, he bagged the Loveworld Awards $10,000 worth Hit Song Of The Year 2012, with one of his hit songs “Superstar No.1”. He has also been performing within and outside Nigeria ever since the work was put out. The singer is said to have a collabo with gospel music legend Don Moen in year 2015. Frank was said to have been engaged to a young lady in 2012 which as at then her age was 19, her name is Chisom who was reportedly said to be schooling in the States. After the news broke up online Frank got a a few critics for getting engaged to a girl of 19. Frank is an artist who has won a lot of popular and unpopular awards. He won the award of the best Gospel Rock artiste in the first annual awards.